^^^ Check out the sweet, sweet muscle-tee that I got for Christmas!! I was not allowed to wear it to Christmas brunch and that is lame. Tank tops and the like carried the day this Christmas, which is what happens when you spend pretty much all of December in a small surf town with an undiversified retail community. I also got a Bob Marley sticker and Phoebe scored a wicked-cool Himalayan Hemp hat. Some traditions, however, managed to travel all the way from DC. Alex and I found ourselves wrapping presents at 1:30 AM on Christmas Eve, just like every year at home. We left a carrot (hard to find in SL), apple, and cookies for the Santa and the reindeer. Santa left stockings outside the kids’ door and we opened them together before getting out of bed. Phoebe was 1 thousand times more excited than she looks in this photo. 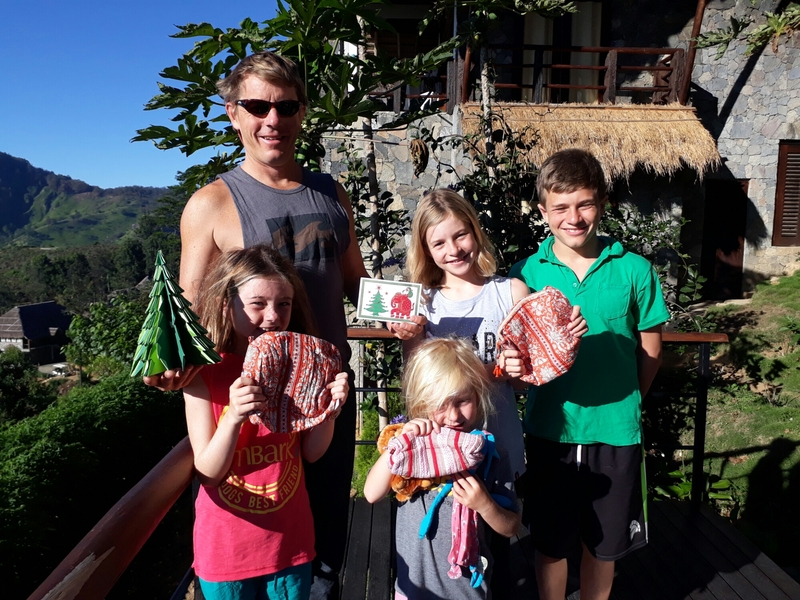 Alex and I spent much of the past several weeks worried that Christmas on the other side of the planet would lead to a major upswing in homesickness, but I am happy to report that the kids rallied around a smaller, more tropical version of the holiday than might normally be the case. We are staying at a beautiful lodge in Ella, thanks to a little splurge from Alex. That helps. 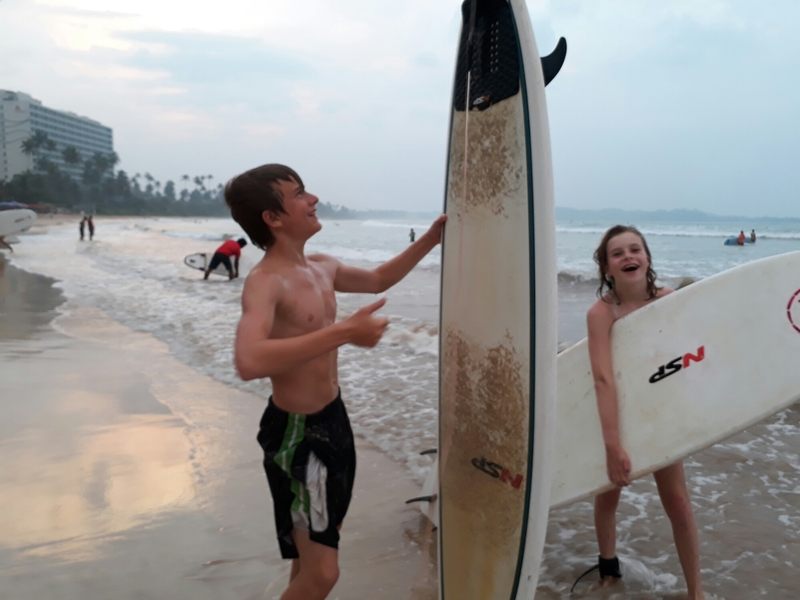 It also helps that these kids have (knock on wood) settled into a rhythm of life with one another in which they see the ups and downs that each experiences, feel their own highs and lows, and put forth a genuine effort to make the most of this experience. They are forced to take turns being the leader, the voice of reason, the loner, the camp counselor, or the squeaky wheel crying out for emotional grease. 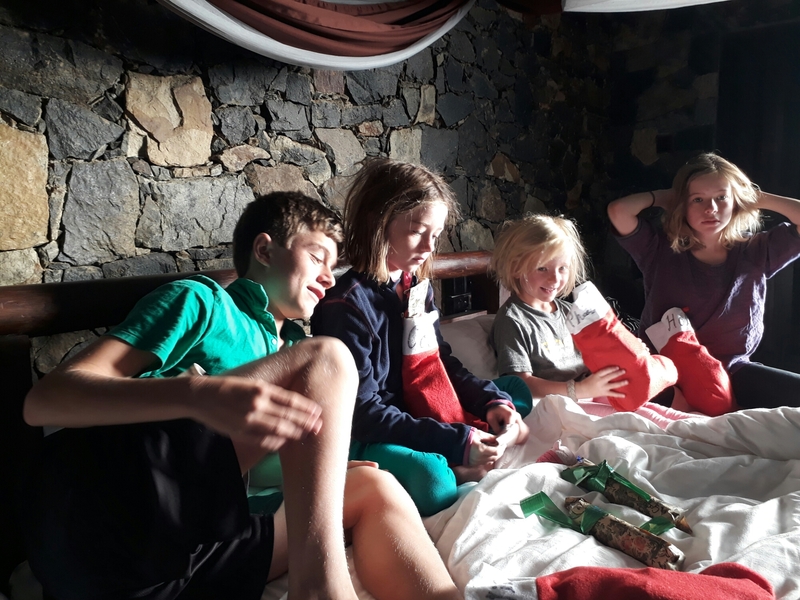 They have each had their moments, as have their parents, but all are rising to occasions like having Christmas in a very unfamiliar place with the same five people they’ve spent the last five months with. 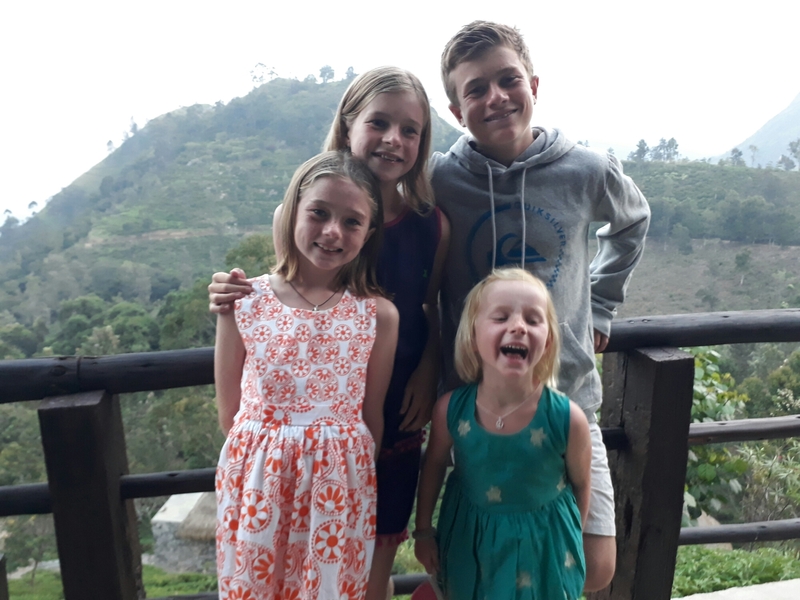 Or the 5 AM wake-up that awaits them tomorrow as we head north to a place called Horton Plains. It has taken a little while, but we have bonded with a country to which we hadn’t given much thought more than a year ago. 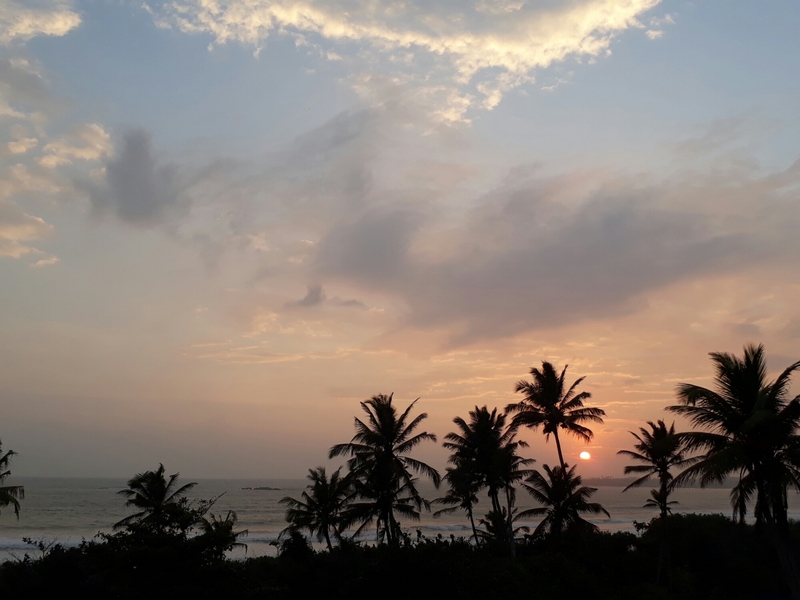 The south shore of Sri Lanka was warm and welcoming over the past three weeks. I will admit that we haven’t done a huge amount of cultural exploration, instead focusing on the surf, diving, schoolwork, and siestas. There was also a quick side trip to Udawalawe Park for a couple of very cool safaris. Way too much to fit into this writing, but elephants and peacocks and buffalo and crocodiles and an amazing variety of birds were our hosts there. 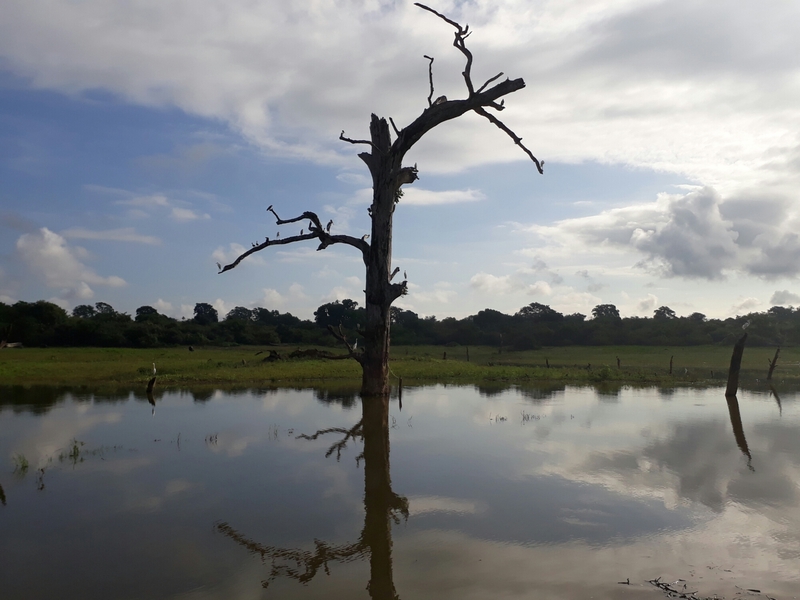 It’s a bit hard to make out, but the tree in that photo is holding three types of herons, an egret, two marabou storks, a couple of ducks, a hawk, and several unidentifieds. The pelican is off to the left, doing his own thing. That’s it for now. 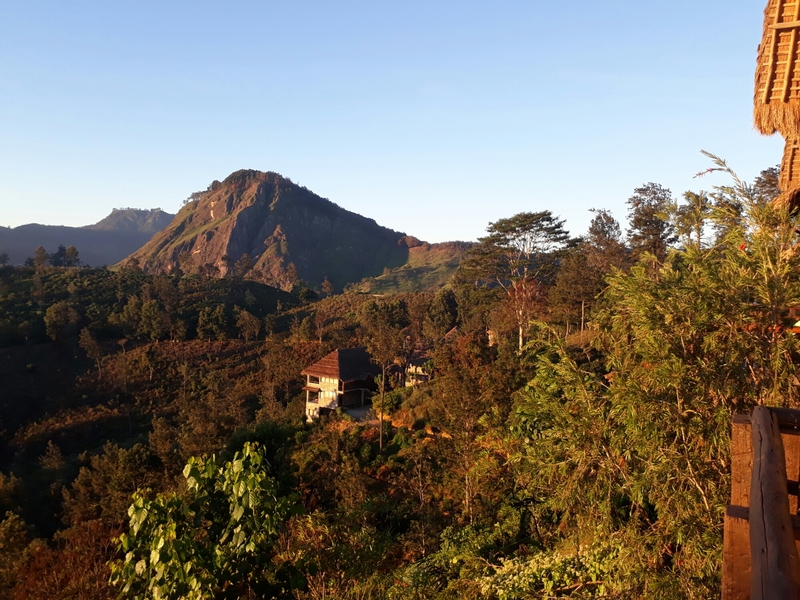 We head north the day after tomorrow, to the land of even more tea estates and some very large Buddhist temples. Then we move on to NZ. Will check in again soon. Until then, Happy New Year, faithful readers! I wish you all a very blessed Christman and a continued incredible new year ! Merry Christmas from the Bergins. I read your blog out loud to my husband as we drove to Boston and celebrations with the very extended Bergin family. We had our family for Thanksgiving so this is our off as they go to the other grandparents. You are an amazing family and I love being on this adventure with you.